Gamers with PlayStation 4 consoles may now begin pre-loading “Kingdom Hearts 3.” This also means that, after waiting for many years, fans are so close to finally seeing the trilogy finale. The official release date for “Kingdom Hearts 3” did not change. It is still set on Tuesday, Jan. 29 at 12 a.m. ET, according to the PlayStation Store website. Pre-loading a game means players who pre-ordered the title can now start to download the game files. But they still cannot access the game until it officially goes live next week. 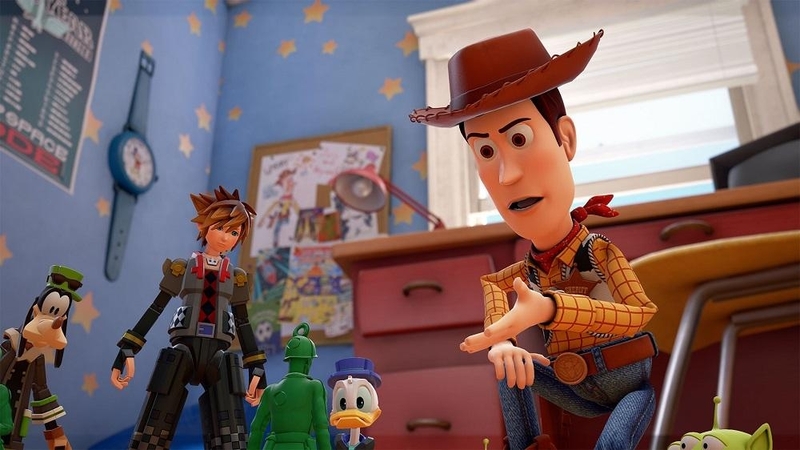 Pre-loading the game can help players prepare for “Kingdom Hearts 3’s” arrival especially considering that it packs quite a sizeable game file. Players reportedly need at least 38GB free space on their PS4 drive to accommodate the game. So those who have a slow internet connection might want to begin the download as early as possible. However, some players do not advise those with a fast internet connection to pre-load games. Because of the amount of time that unlocking pre-loaded games require, others argue that it is better to just download it during the official launch. “Kingdom Hearts 3” fans might want to consider this as well. Players who have purchased “Kingdom Hearts 3” via pre-ordering are the only ones who can pre-load the game. Pre-orders are still accepted at the official PS Store for $59.99 for the standard edition. Buying the game before Jan. 29 has some perks too including access to the Midnight Blue Keyblade and the exclusive “Impossible Odds” theme. Xbox One owners had a month-long headstart in pre-loading “Kingdom Hearts 3.” This option was made available to them back in early December. Pre-orders via the Xbox Store comes with a bonus Phantom Green Keyblade and, just like the rule for PS4 players, they cannot open the game until next Tuesday.